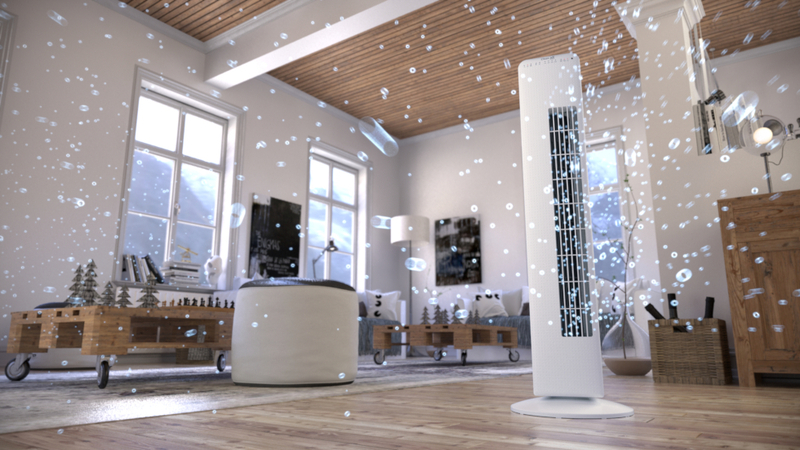 The excellent design of the luxurious CA-405 fan by Clean Air Optima consists of a very lean tower model and combines space-saving beautiful shaping with efficiency that fits into every interior. Comfortable adjustment thanks to the remote control and timer function. 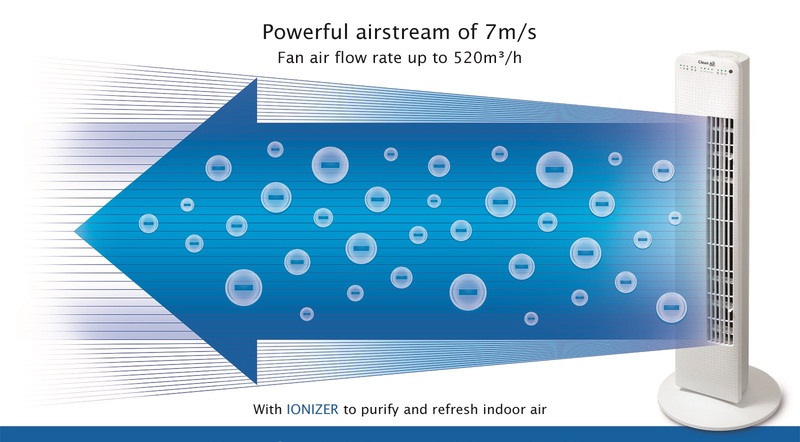 Adjustable dynamic air flow from 7 meters/second until soft, refreshing breeze thanks to the horizontal helix angle of 80° and continuous simultaneous air purification thanks to the integrated ionizer! 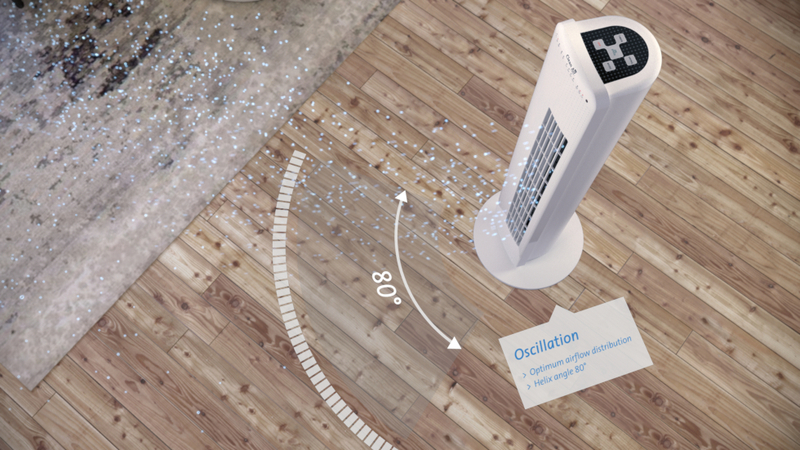 With its incorporated vertical rotor, this silent but powerful fan with ionizer for air purification with its tower design is very compact and lean and fits into every living or business interior thanks to its beautiful colouring. 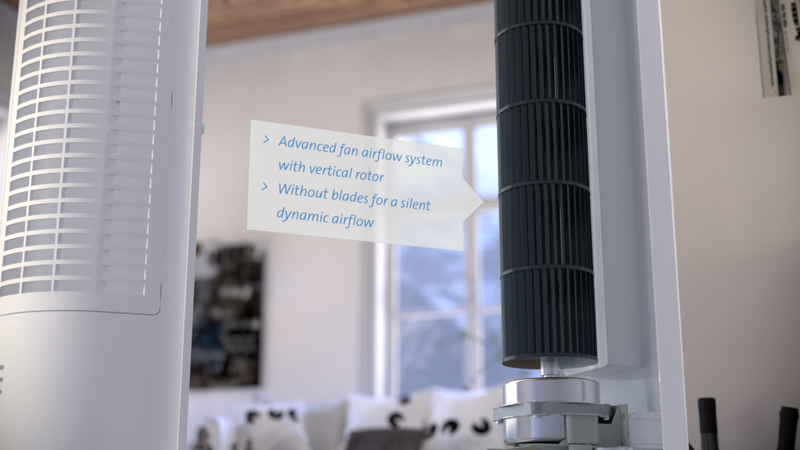 The luxurious tower fan CA-405 is a compact fan without blades equipped with an advanced ventilation system with a vertical rotor and three velocities, adjustment options for normal and natural air flow, sleeping mode and vertical grid adjustment. Air velocity up to 7 meters / second and air movement up to 520m3/h. 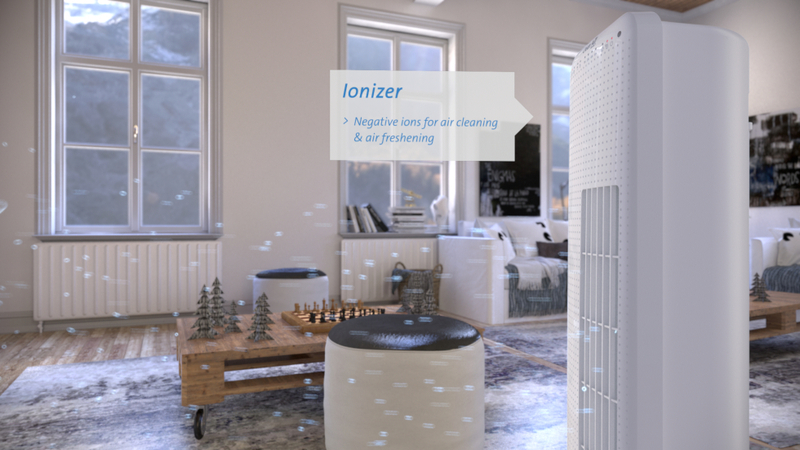 The integrated ionizer produces negative oxygen ions which purify and refresh the air additionally to the cooling effect of the fan. 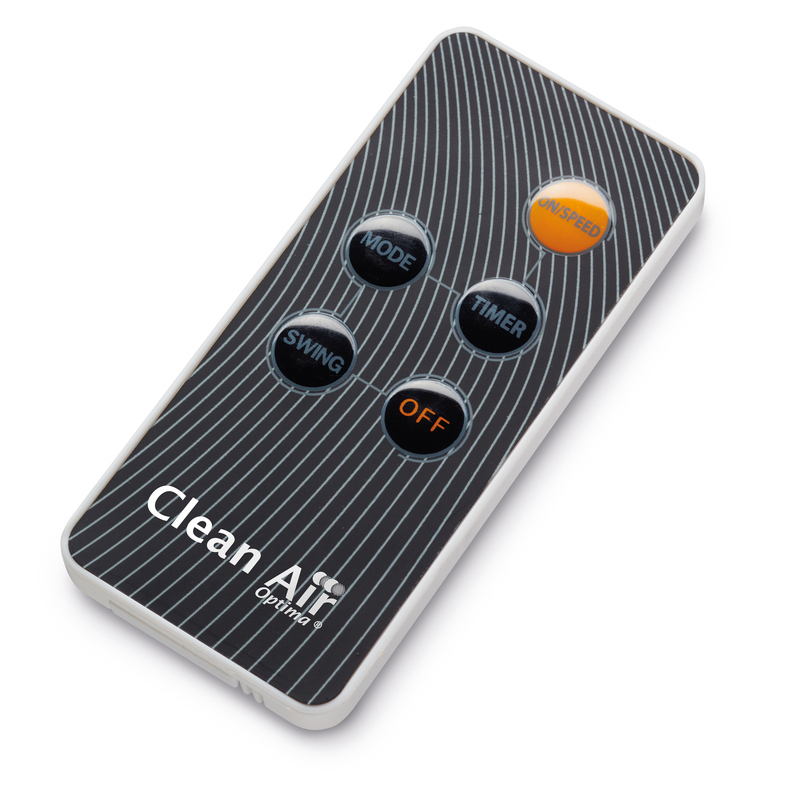 Negative ions attach themselves to dust particles, microorganisms and other unwanted particles in the air. These particles get heavier in the air, fall on to the ground and are filtered out of the air. Odours are neutralised through ionisation. 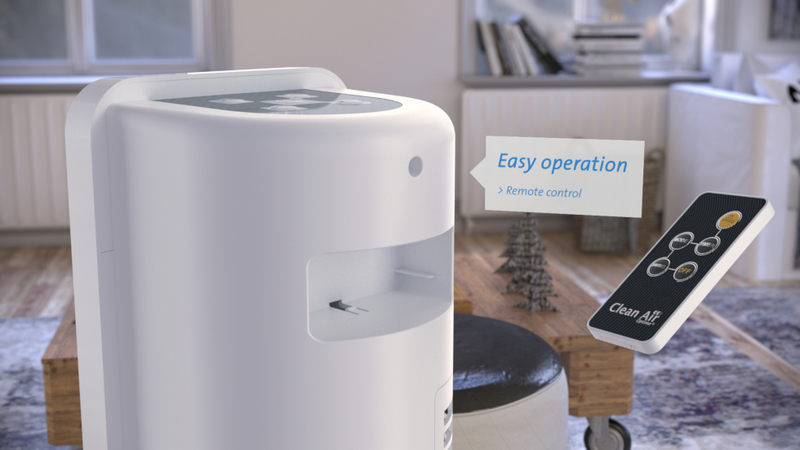 The handy control panel on the top of the device is equipped with keys in order to select the wanted setting. 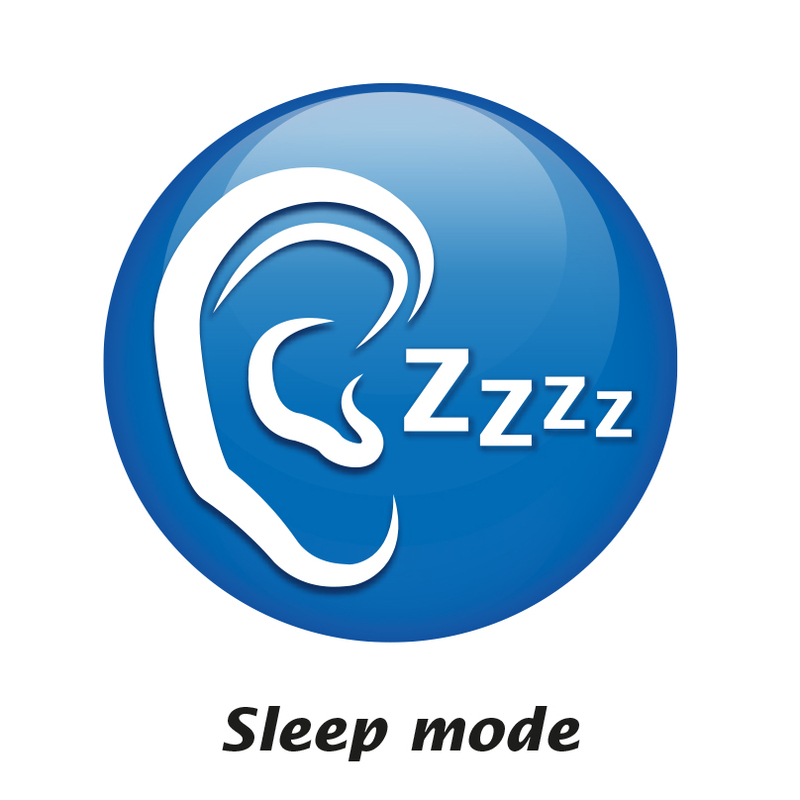 These settings can also be adjusted with the provided infrared remote control which can be stored in the corresponding pocket at the back of the device after usage. 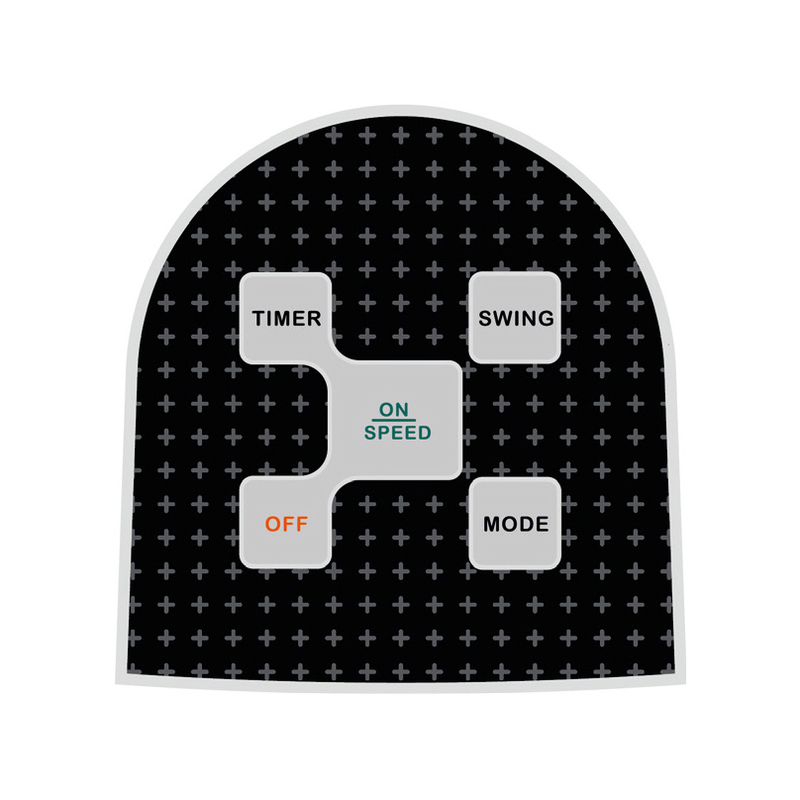 The timer makes it easily possible to program the time for switching off the device. The oscillation function enables a helix angle of approximatively 80°. 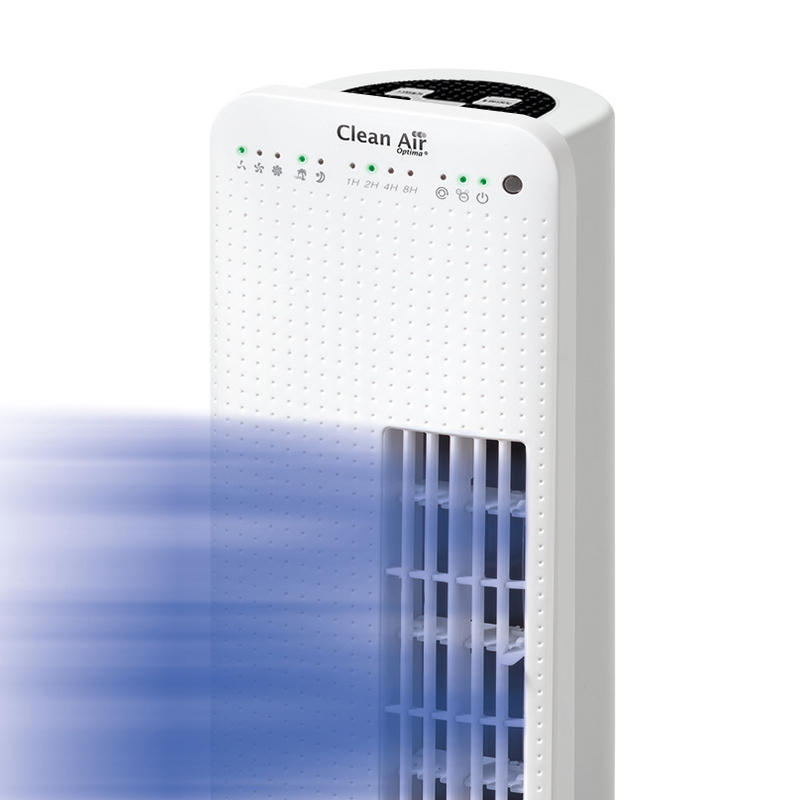 This way the space-saving tower design ventilation system CA-405 by Clean Air Optima insures an optimal dispersion of the air flow in the room as well as efficient cooling. 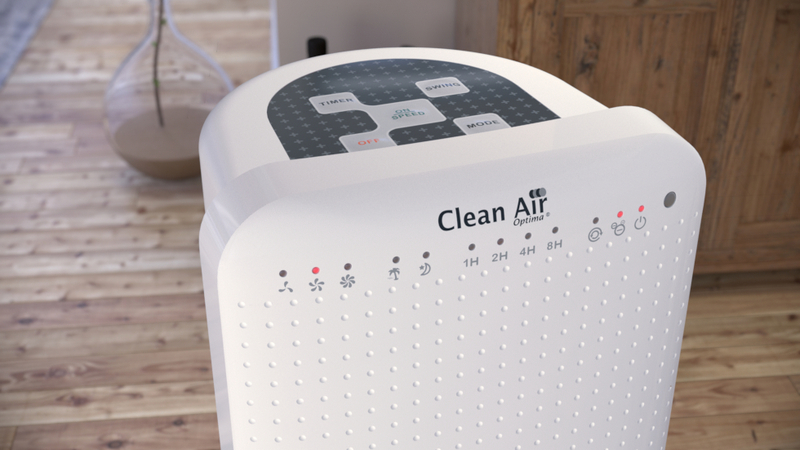 The CA-405 ventilation system has 3 fan settings. 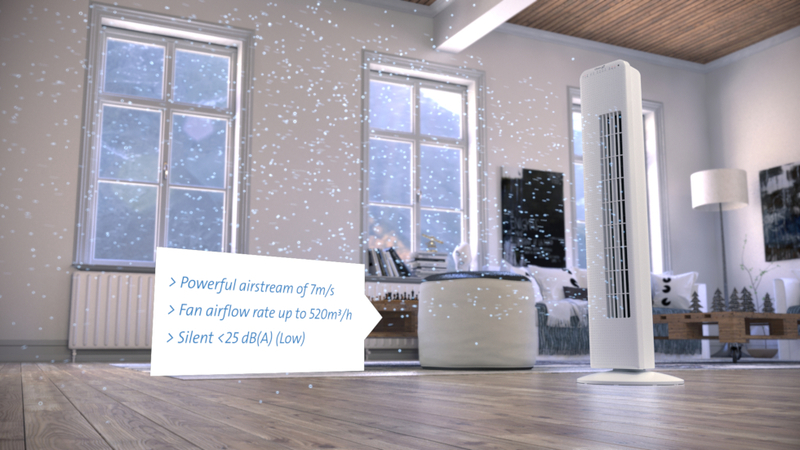 Maximum energy consumption only 65 Watt with strong fan setting. Energy consumption of 50 Watt with medium fan setting. Energy consumption of 40 Watt with weak fan setting. 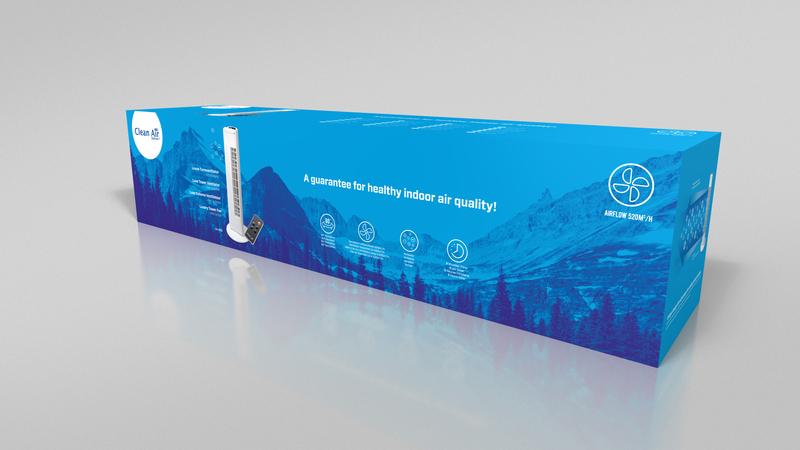 The Clean Air Optima tower fan CA-405 with ionizer provides a pleasant cooling breeze whenever you want it in your room, it improves the air quality, reduces health problems and increases well-being. 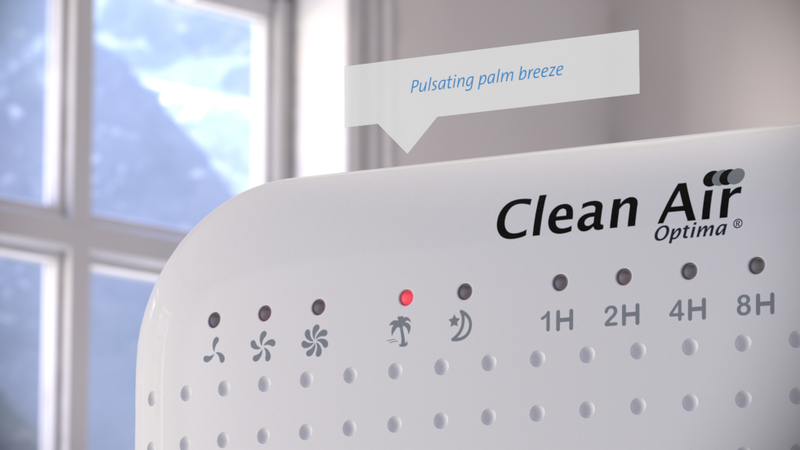 The luxurious tower fan with ionizer CA-405 by Clean Air Optima is ideal for a cooling breeze in your living or working rooms during hot days. 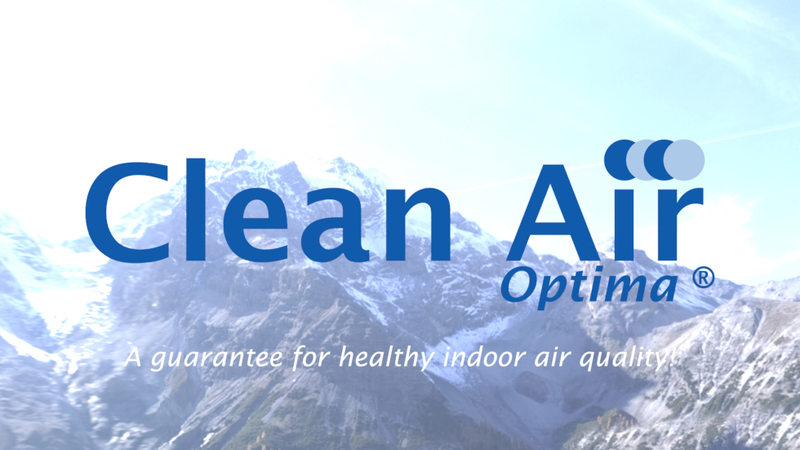 It is silent, low in energy consumption and the integrated ionizer improves indoor air quality where the fan is installed. 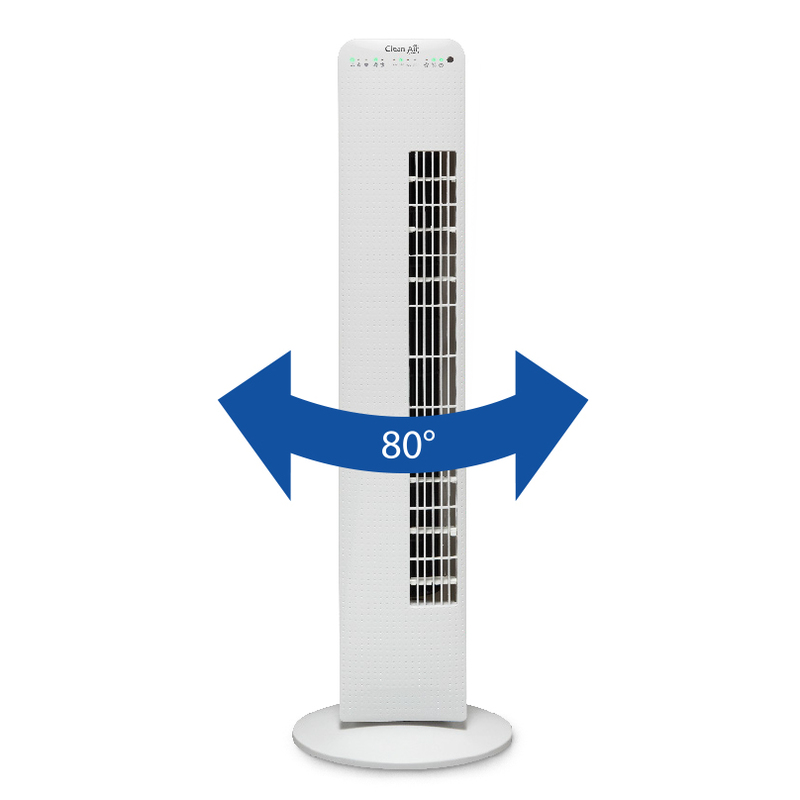 This user-friendly lean tower fan possesses an elegant design in nacre and fits every interior: living room, bedroom, at work, office, and reception or waiting room etc. etc. • Large helix angle of approximatively 80°. Place the fan on a flat and firm base. Do not use it in a wet or humid environment like the bathroom or the shower, indoor pools etc. Consult the included instruction manual for additional information on the use of the device. 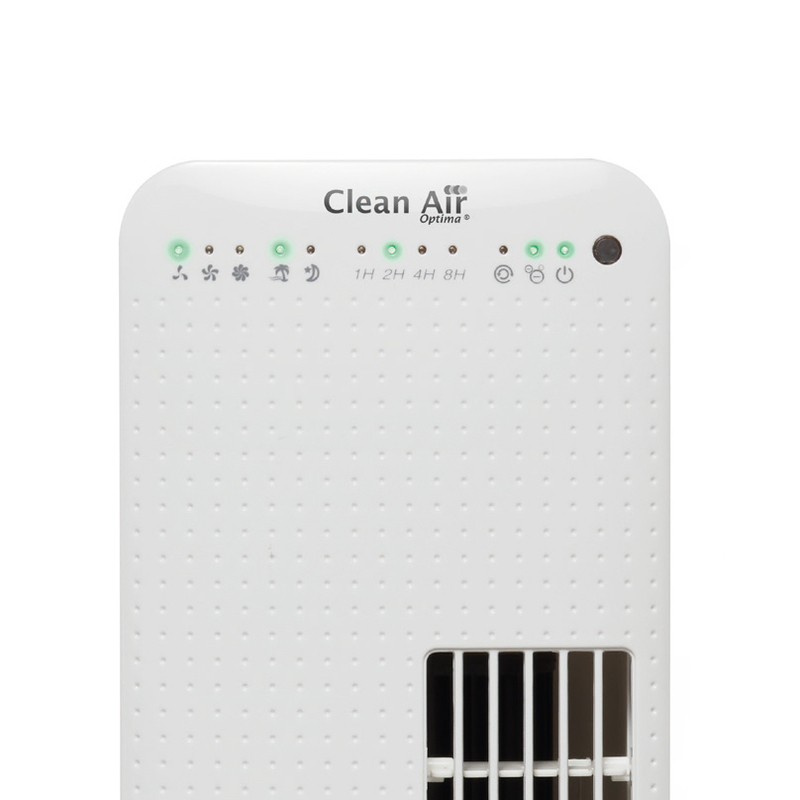 once a week from the air inlet at the back of the device and at least once a month at the air outlet. Clean once a month the outer surface with a cloth. with the screwdriver and take away the grid at the back. Attention: put the grid back in place before using the device again. the outer side of the fan. Dry carefully. 5. 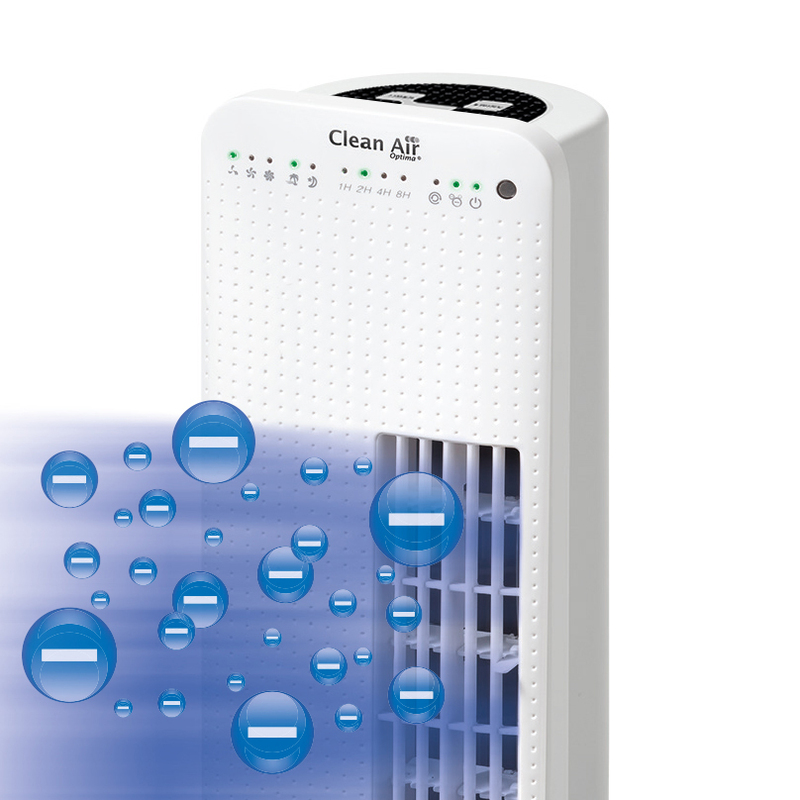 If the fan is not used for a longer period of time, we advise to clean the device carefully and let it dry. The device has to be stored in a cool and dry place. Delivery went well and very fast!! I live in the middle of London and had therfore expected it will take a few days for delivery, but the delivery took place in 1 day! 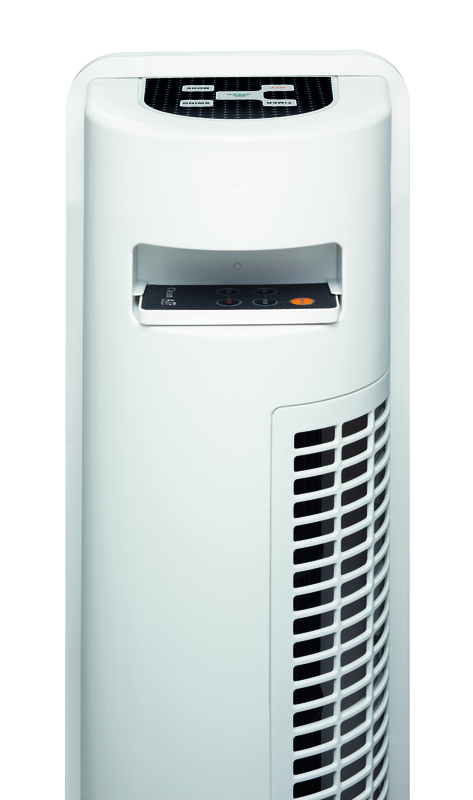 Good purchase, I can recommend this Tower Fan from Clean Air Optima to everyone!! I bought this fan for my living room and it works fine. I can recommend this fan to anyone who wants fresh and cool air in the house. 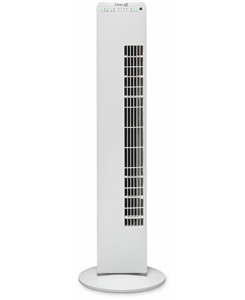 Beautiful tower fan with many features. 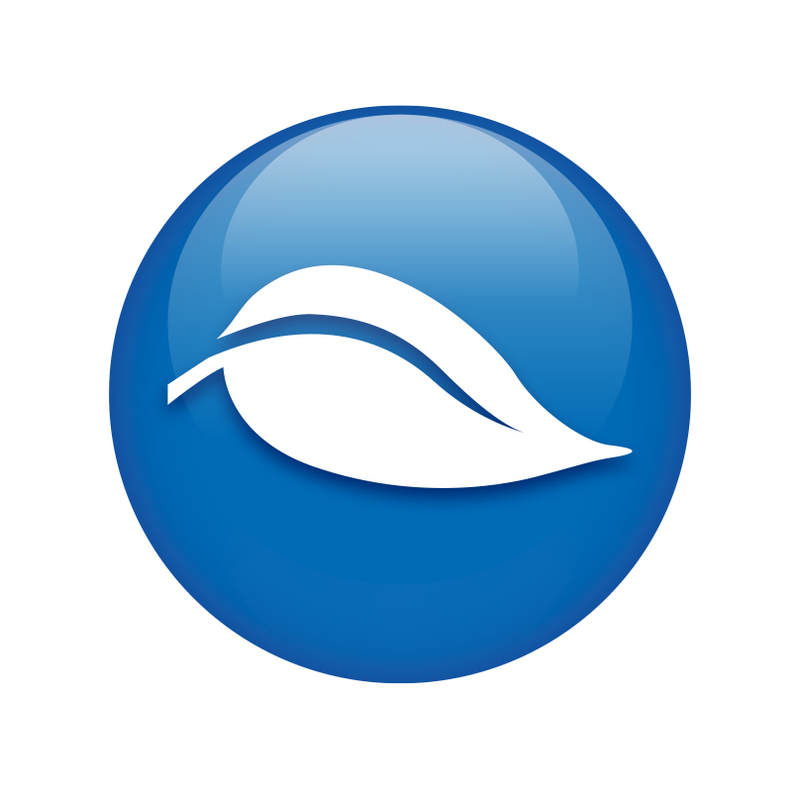 I love the negative ions, gives an pleasant fresh air!